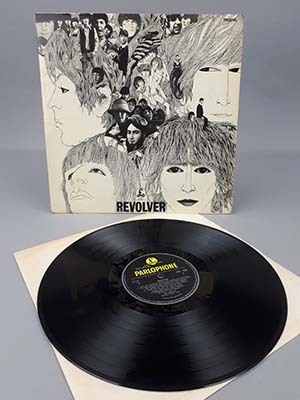 A rare copy of The Beatles’ Revolver LP is going up for auction after being found in Sutton Coldfield. The 1966 album has a rare engraving on the run-off grooves on side two, showing that it contains a different version of the LP’s closing track, Tomorrow Never Knows. 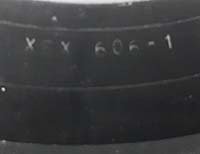 A number of changes were eventually made to the record, meaning those produced during the first run – containing the code XEX 606-1 – are extremely rare. The album will be sold at Richard Winterton Auctioneers in Lichfield on 22nd October. Richard said: “This version has a longer fade-out with more prominent piano as the track draws to a close. “The first copies from the production line were presented to each of the Fab Four. After playing his, John Lennon was unhappy with the final track and requested that the mix be changed or replaced. “It is understood that these copies marked 606-1 were made for just a few hours before the instruction came to stop. Other tell-tale signs the work is a first pressing are the label listing side two track Doctor Robert as ‘Dr Robert’ – a detail which was also changed later in the production line. The record will be sold as part of a wider lot of records by The Beatles and is expected to fetch hundreds of pounds on sale day.